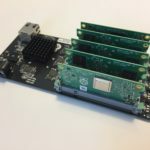 miniNodes is proud to announce availability of the new Raspberry Pi 3 Arm Server! With newly upgraded 64-bit Arm Cortex A53 cores, the Raspberry Pi 3 is more powerful than ever, and makes a perfect small server. It has 1gb of RAM, a quad-core Broadcom 2837 processor running at 1.2ghz, and a static IP address. The Raspberry Pi 3 server is great as a small server to communicate with Internet of Things (IoT) devices, host API’s and other small applications, learning how to use big data, practice programming on lightweight languages such as Go, Rust, Python, Node.JS or the MEAN stack, host simple websites and email, and lots more. 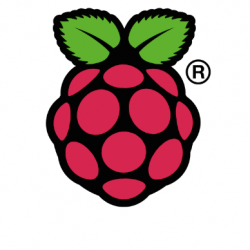 The miniNodes hosted Raspberry Pi 3 Server is running the latest version of Raspbian Stretch, with SSH access provided to the node. Each node is custom built, so unfortunately we do not offer instant access to the node, but we build daily and typically deploy within 8 to 12 hours, so please be aware they are not instant access. Just like our original Raspberry Pi miniNode, the Raspberry Pi 3 miniNode is a dedicated Raspberry Pi Arm server for your exclusive use. The Raspberry Pi 3B is a 64-bit, quad-core Arm server running Raspbian Stretch that allows you to host your own websites and email, learn to code, develop and deploy applications live on the internet, communicate with Internet of Things (IoT) devices, learn and experiment with big data, and more!